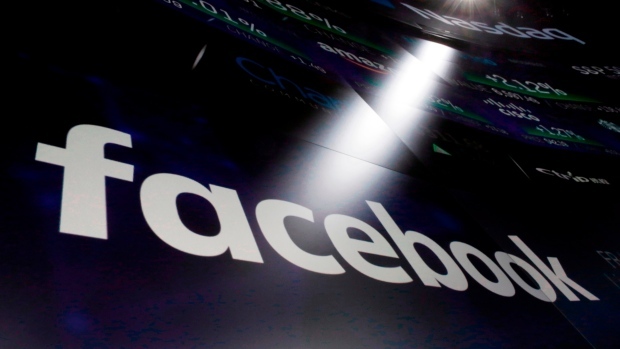 TORONTO -- NDP MP Charlie Angus is calling for an investigation into Facebook's conduct following U.K. media reports that alleged a former federal infrastructure minister was pressured into making privacy commitments in order to land a Facebook data centre in Canada. 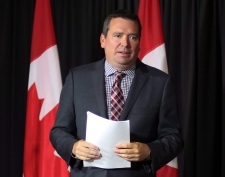 In a letter to the federal lobbying commissioner Nancy Belanger, Angus said he would like the government to look into reports from The Observer and Computer Weekly that allege former Conservative minister Christian Paradis assured Facebook Canada the government would not seek jurisdiction over non-Canada data if a data centre was constructed in Canada. The Canadian Press has not viewed the documents or been able to independently verify the contents and messages to Paradis, who has since taken a senior position at security firm GardaWorld, have gone unanswered. "I believe these allegations are true because it fits very much the pattern of how Facebook has been operating... Their belief that they are above domestic legislation comes to them from a real billionaire frat boy arrogance," Angus said in an interview with The Canadian Press. "This to me is so very troubling. They have so much power that they can simply call a minister's office and be exempt from a law. That is not how the system should work." Angus said he has not seen a copy of the letter Paradis allegedly sent, but is searching for it. Facebook Canada sidestepped most of the questions The Canadian Press sent to the company and did not confirm if it exerted pressure on Paradis, but said in email that "Before we commit to opening a data centre anywhere in the world, we want to make sure we fully understand the country's laws and privacy protections. This is not a threat to withhold investment, but part of our duty to protect people's data." The company confirmed it never did build a data centre in Canada, but said it is "continually assessing" potential sites and its meetings with government stakeholders "as of late" have focused on election integrity. Angus said he is seeking an investigation into the company because he cannot find any record of meetings between Paradis' office and Facebook and said this is part of a "pattern of avoidance" for disclosing meetings that he previously complained about to Facebook Canada's head of public policy Kevin Chan. Angus alleged Chan had multiple meetings with ministers, but none appeared as lobbying contacts and Chan allegedly told Angus that was because they were all meetings to show government officials how to use Facebook Live. "We are seeing the tip of the iceberg in terms of surreptitious, unregistered high-level contacts with government going back years," Angus wrote in his letter. "I am even more concerned given the huge economic power of Facebook to have government policies bend to the policy preferences." The Canadian Press searched the federal lobbyist registry and found no meetings between Facebook and Paradis were recorded. According to the office that oversees the registry, Chan is registered as a lobbyist, but is the only employee listed under Facebook's registration. Facebook declined to provide a statement on Angus's claims and the records. Over the weekend it said it is restricted from talking about the allegations because the stories are based on documents that were sealed by a California court and are designed to "tell one side of a story and omit important context." The materials obtained by The Observer and Computer Weekly are believed to be part of a cache of documents the founder of Six4Three -- an app that allowed users to search for photos of their contacts in bikinis -- recently was forced to hand over to the U.K.'s Digital, Culture, Media and Sport Committee, which has been investigating fake news. Six4Three has been fighting Facebook in court since the app was forced to shut down after Facebook restricted apps' access to users' friends data, citing privacy. Six4Three has claimed Facebook knew it would be cutting off such access as early as 2012, but was still using it to attract developers to the platform.